Introducing Dr. Akia Parks -- Successful dissertation defense! Off to Vanderbilt - Full Scholarship! New cohort of Project ENGAGES scholars. Now more than 100+! 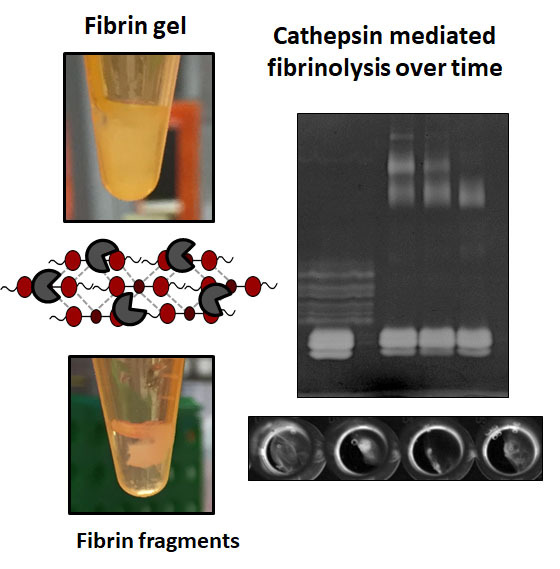 To fuse engineering, cell biology, and physiology in a diverse, inclusive team, to understand how cells sense, respond, and remodel their immediate mechanical and biochemical environments for repair and regeneration in health and disease, then to translate that knowledge to clinics domestically and internationally to address global health disparities. Project ENGAGES Scholar Niara Botchwey going to International Science and Engineering Fair! 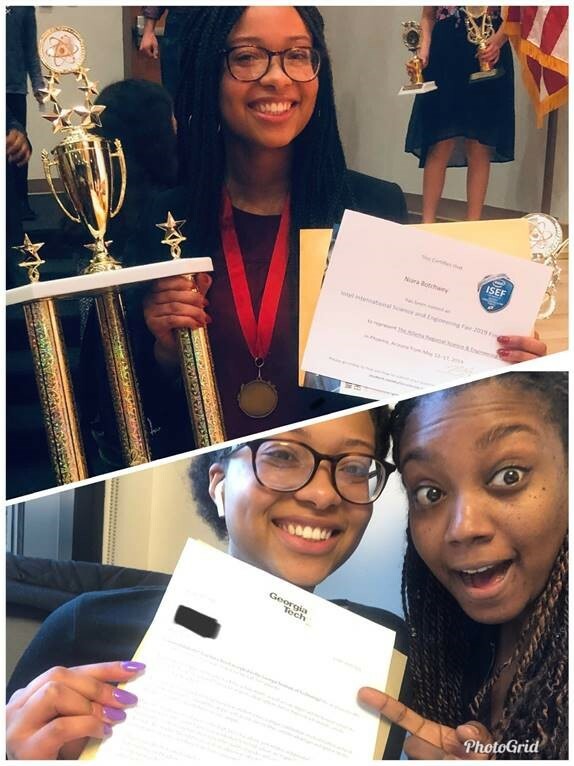 Congratulations to Project ENGAGES student Niara Botchwey who was selected to represent Atlanta Public Schools and compete in the International Science and Engineering (ISEF)! Niara is a senior at Drew Charter School, and first in her school to go to ISEF! She received a gold medal in the Biomedical and Health Sciences category and received the Office of Naval Science Award at the Atlanta Public School Science Fair. Niara is mentored by 4th year PhD student, Simone Douglas. Most recently, Niara was awarded the Stamps Presidents Scholars Program at Georgia Tech, a full ride! Niara has also been accepted to Harvard, Columbia, Cornell, Spelman, Vanderbilt, Rice, and Case Western. This girl is on FIRE, and we (especially mentor Simone) are very proud of Niara and her wonderful accomplishments! Platt Lab Celebrates 10 Years with a Surprise Reunion! On October 20th 2018, about 50 of Dr. Platts current and former students, mentees, friends, relatives, and coworkers held their breath crouched behind tables, waiting for their unsuspecting guest of honor to open the ballroom door. As Dr. Platt walked in, attendees erupted in applause and congratulations. He was completely overwhelmed with emotion by this event planned by his former and current students After Dr. Platt established some semblance of control over his emotions, a procession of friends and former high school, undergraduate AND graduate students from as far as California, Massachusetts and Wisconsin recounted how he impacted their lives at different stages in his career. Dr. Platts 10 year professoriate anniversary was a testimony to the legacy he built his lab on. He is passionate, committed to promoting mentoring and diversity, and ensuring that we multiply his efforts through positively impacting scientific and social communities. Introducing Dr. Andrew Shockey and Dr. Christian Rivera! Christian Rivera and Andrew Shockey have successfully defended their Ph.D. dissertations in February and March, respectively. 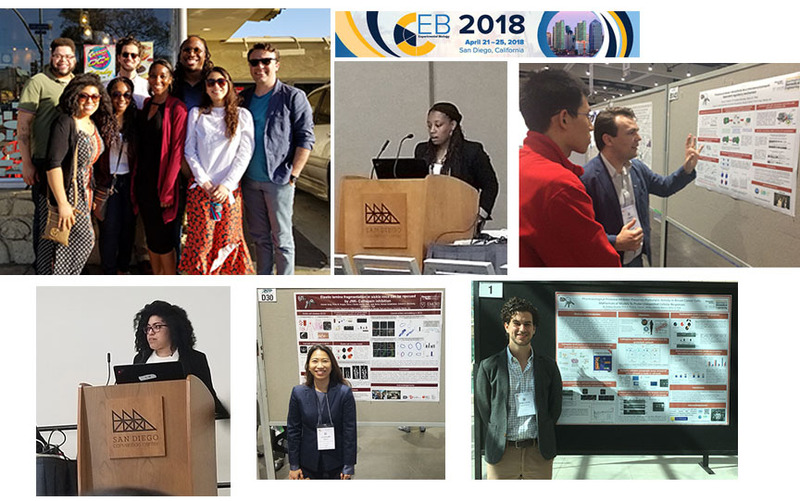 Christians thesis was titled "The Role of Geometry in the Hemodynamics Associated with Stroke Development in Sickle Cell Anemia and Andrews thesis was titled "Proteolytic Network Dynamics in Breast Cancer and Tumor Associated Macrophages." Congratulations and well-deserved to both new Docs! Commencement in May!